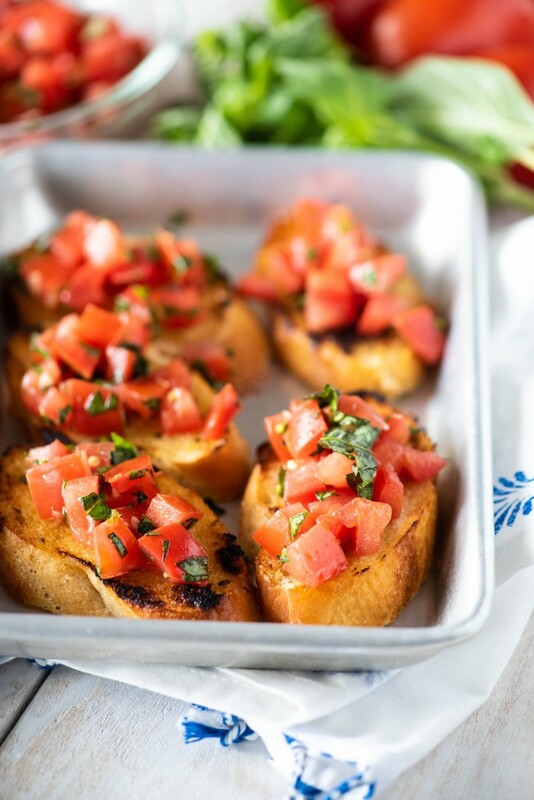 Classic tomato bruschetta is so delicious, you’d never guess it was so easy! You can whip up my favorite appetizer in just a few minutes- and do most of the work ahead of time! 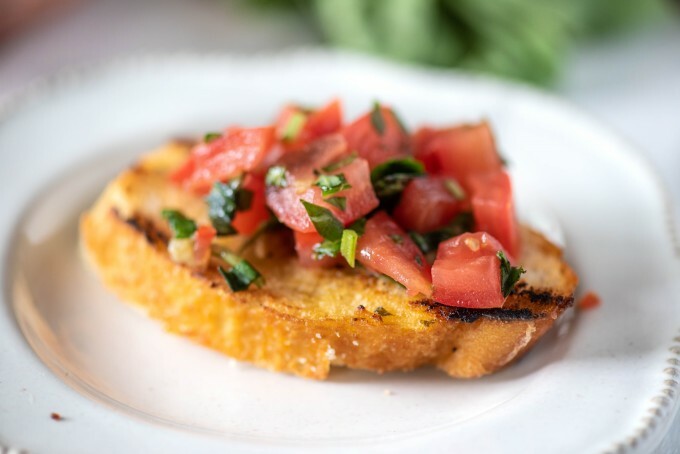 Bruschetta is a wonderful appetizer that can be made in about 15-20 minutes, and only has a few ingredients to contend with. Plus, do you know anyone that doesn’t enjoy a fresh combination of tomatoes, basil and garlic on toasted garlic bread? 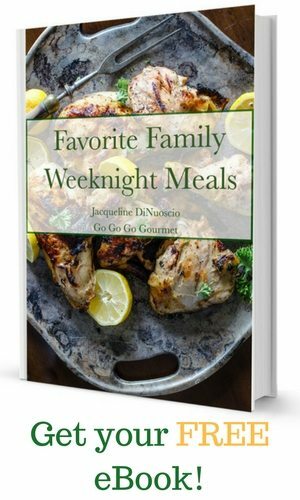 There are a few things that I love to see on a restaurant appetizer list- spinach artichoke dip (to the point where it has become a joke between David and I), mozzarella sticks, and bruschetta. I made this when we first moved to Florida to accompany the cocktails for my weekly Friday happy hour with my girlfriends from around the corner- none were left by the time the martinis were gone! Yes, I resort to food & cocktail bribery to make friends here. It works. I think. No shame. 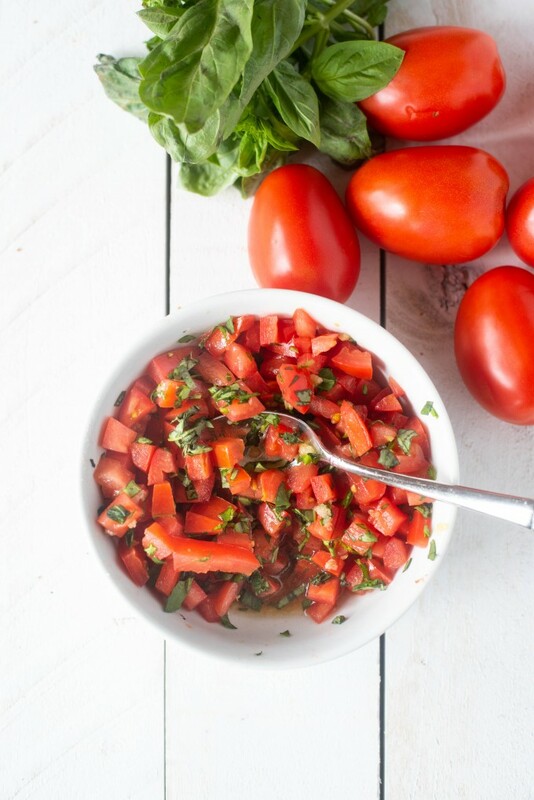 One of my favorite things about this recipe, especially come summer time, is the fact that I can trot out to the garden and grab a huge handful of basil and a few gorgeously ripe Roma tomatoes off the vine, bring them inside and throw them in a bowl for the ultimate summer garden snack. Cutting board and knife- I heartily recommend using a serrated knife for slicing the tomatoes. It is way easier than a straight knife on the tender skin of the tomatoes. Offset spatula– for spreading the garlic spread. Small serving bowl– if this is a grazing sort of get together, I’d recommend putting your bruschetta topping in a pretty bowl alongside your toasted baguette slices. If you put the topping on too far in advance, your bread will get soggy. Mix together tomatoes, garlic, basil, salt, sugar, balsamic vinegar and olive oil and allow flavors to meld for about 10 minutes. Thinly spread garlic bread spread on baguette slices . Grill until toasted and golden brown (conversely, you can throw them under the broiler in your oven). Spoon tomato mixture on top of crostinis when ready to eat, and serve immediately. Looks so yummy but how do you make the garlic spread? Such a classic appetizer for good reason; quick, easy and super delicious! So delicious! I love the fresh tomatoes! 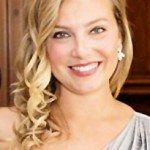 Definitely a keeper of a recipe! I love this recipe. My husband I have made this our meal on some evenings. With a nice glass of red wine, it’s perfection! 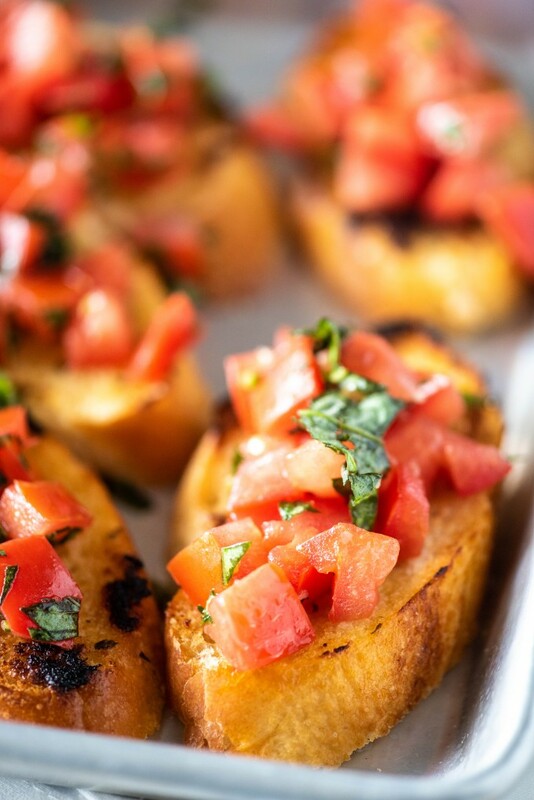 There really is nothing better than bruschetta done well!!! Your recipe is brilliant. I love using the garlic spread rather than just a cut garlic clove. It makes sure the bread goes nice and crispy!